Whether you are visiting Brisbane or are a long-time local who wants to learn more about the stories around the places that make up the city centre, the Haunted Brisbane Ghost Tour is a unique way to experience the city at night. This tour combines great historical settings, interesting stories and some spooky moments. 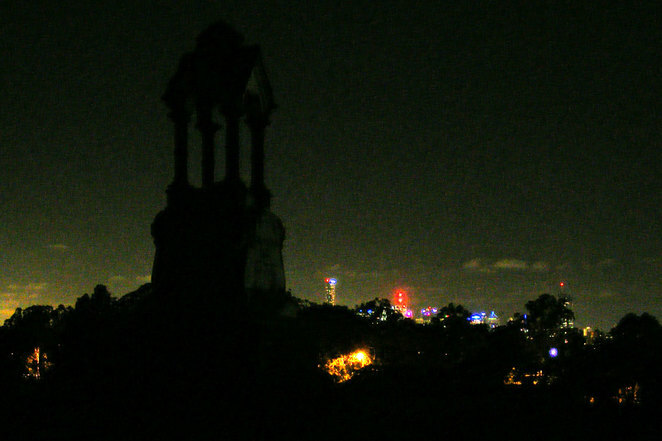 Brisbane Ghost Tours runs a number of interesting tours around Brisbane, including 2 at Toowong Cemetery, South Brisbane Cemetery, Ipswich Cemetery, Nundah Cemetery and Boggo Road Gaol. Fans of the tours and often go to every one of the tours, even returning to bring their out of town friends when they visit. The tours are professionally run, with each tour guide having their own style and even favourite stories. 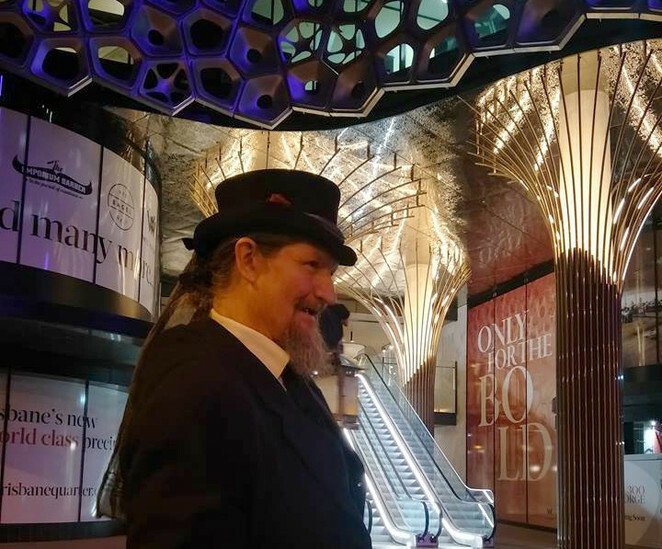 Many of the stories are collected from locals as well as from written sources, making the tours a great source of Brisbane's oral storytelling record. 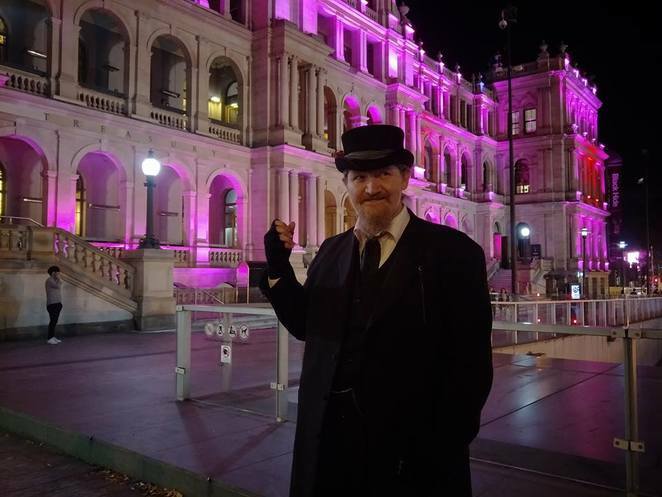 The tour heads around various places in the city, typically starting at the historic Brisbane Arcade, walking over to King George Square, down past the casino the back alleys behind the Treasury Hotel and Commissariat Store. Each place is chosen, not only for its stories but the atmosphere of the location. Our guide for the evening dressed the part, like an undertaker ushering us into another plane of existence for a moment and returning us safely. During the tour he maintains his character, being part of the ambience of the experience. The tour is not fixed and often adapt to what people are interested in. You can come back and the guide will attempt to take you to some places you might not have experienced before. Attitude matters when going on a ghost tour. If you are too cynical you won't enjoy the stories, but if you like a good story and understand that ghost stories not only tell of the ethereal but also the physical history of a place that lives on in people's memories. Ultimately though the stories are more interesting than scary. The Haunted Brisbane Ghost Tour is definitely a different way to see the city. 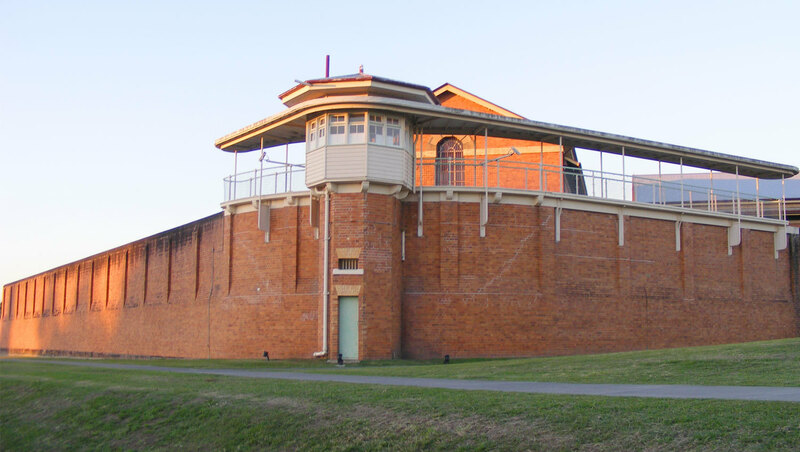 I do have a preference for the cemetery and gaol tours, because the atmosphere is more interesting while the city tour can be a little noisy as you walk around town, even on Sunday evening. Anyone visiting Brisbane should consider doing the city tour as it is an interesting way to visit places in the city. 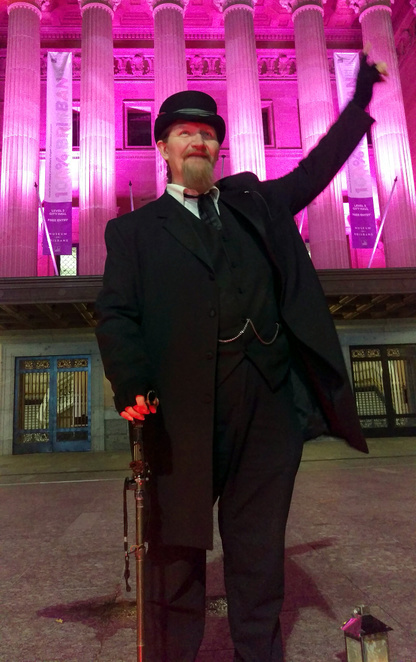 I would probably say that you probably want to do one of the other ghost tours first, but as said before, most people go to several, if not, all of the tours and the city tour is often the easiest to get to and goes well with a meal beforehand and maybe a few drinks afterwards. Put these tours on your list of things to do in Brisbane before you die. If not, you might have to come back as a ghost and be the subject of the tour.